With 1.7 billion monthly active users (over 50 percent of Internet users worldwide), Facebook is the social network. For brands, Facebook is one big opportunity to measure impact with customers. Here is a list of tools to measure results on Facebook. Some tools are focused solely on Facebook, while others measure impact across a spectrum of social networks. Several of the tools are free, and a few of the premium tools offer free reports to measure Facebook performance. Facebook Page Insights is the best place to start for results on your page’s performance. Get your total new likes, the total number of people who were shown your page and posts, the total number of people who were engaged with your page, and more. See how businesses similar to yours perform, and use the Pages manager app to respond to people on the go. Price: Free. 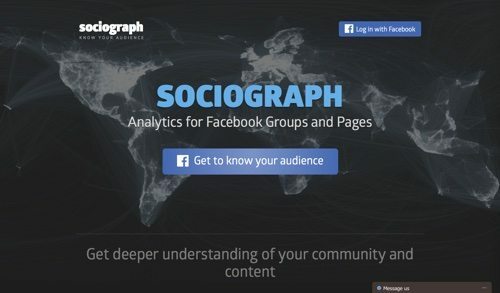 Sociograph is a free analytics tools for Facebook groups and pages. See your posts in chronological order and get information about (a) dates, types of posts, authors, (b) statistics about shares, comments and likes, and (c) a content preview. Sort your posts to identify your most popular and look at posts in specific time ranges. Look at your community’s overall activity over the course of a year, month, or custom time range. Sociograph enables you to look at the activity level of your own community and compare it with that of your competitors. Price: Free. 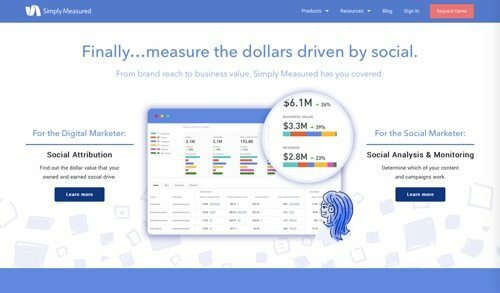 Simply Measured is a tool to track and analyze your social networks, get your social attribution amounts, and integrate social marketing into your business. Analyze data across your channels, so you can compare your Facebook numbers to your progress on other networks. Learn about your audience and what resonates with them. Simply Measured also offers free reports to analyze a variety of metrics for Facebook. Get an analysis of Insights, compare your pages against competitors, analyze the performance of your content, and more. Price: Contact on pricing. 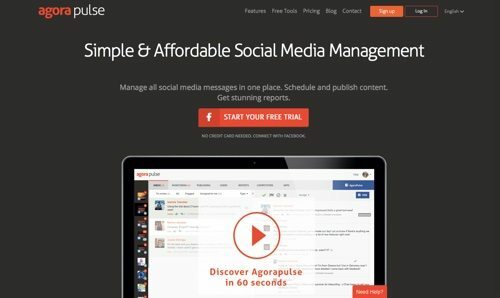 Agorapulse is a tool to analyze and manage all your social media content, including Facebook. Easily manage your Facebook team, and invite people to help with your management tasks. Compare your page to your competitors or other successful pages on a number of key metrics such as engagement rate and total number of interactions. Get all your performance analytics downloaded into PowerPoint. 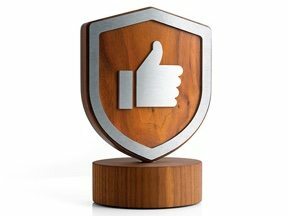 Agorapulse retains all your data for you: comments, likes, shares, mentions, private messages, and all interactions with your fans. Price: Plans start at $49 per month. 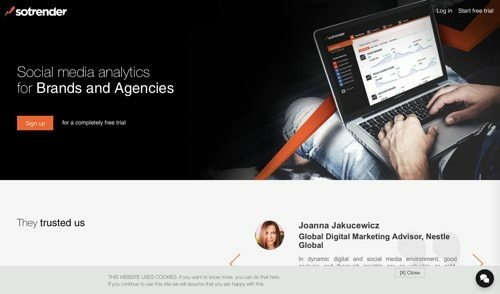 Komfo is a platform for social media analytics, monitoring, and publishing — including a tool for Facebook ads to distribute branded content to the right audience. Komfo offers a free report of your Facebook analytics, including your fan penetration, viral amplification, and click rate. 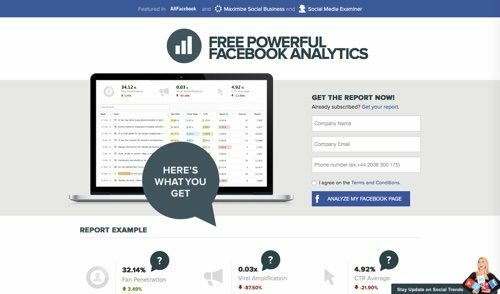 Price: Facebook analytics tool is free. For other tools, contact on pricing. 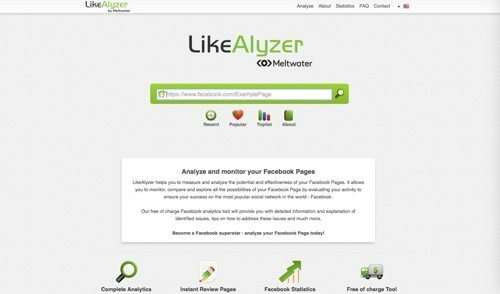 LikeAlyzer is a free tool that provides daily updated Facebook statistics for your page, or other pages of interest. LikeAlyzer offers an explanation of identified issues and tips on how to improve your interaction with current and potential fans and customers. Price: Free. 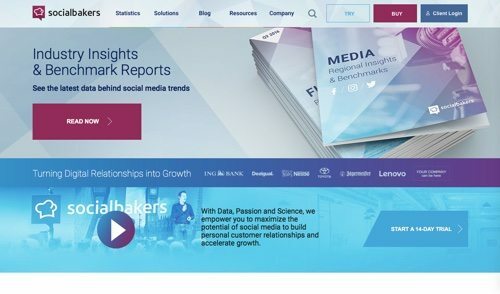 Measure, benchmark, and report on your social media performance in under one minute, all in one place, with Socialbakers. Understand your customers better by benchmarking against your competitors, and up to 75 industries across 10 million social profiles. To access Socialbakers’ free benchmarking tool, just type the name of your company’s Facebook page as well as that of your competitor, or any two pages you want to compare. Price: Contact on pricing. 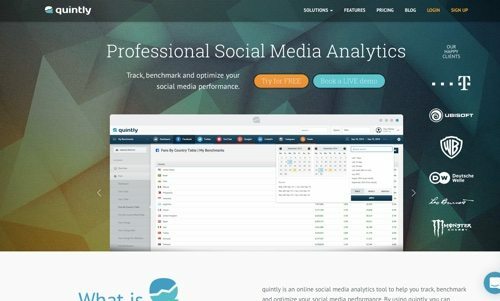 Quintly is a tool to track, benchmark, and optimize all of your social media performance. Its Facebook Analytics allows you to measure all relevant Facebook fan metrics of your page and those of your competitors. 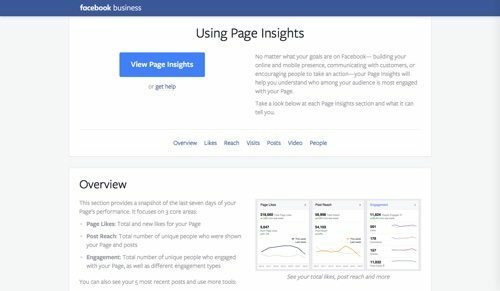 View all the pages you manage and their Facebook Insights in one place. Benchmark your performance and marketing analytics with best-practice examples to derive an optimal social media marketing strategy. Price: Plans start at $129 per month. Scoreboard Social is a tool for reporting and tracking activity on Facebook, Twitter, and Instagram. You can also enter monthly data for other accounts like Yelp, TripAdvisor, or anything you like. Compare your performance with competitors, industry leaders, and top brands. Simplify your reporting process with automated weekly reports or generated reports for any time you want to see. Price: Pricing starts at $14 per month. 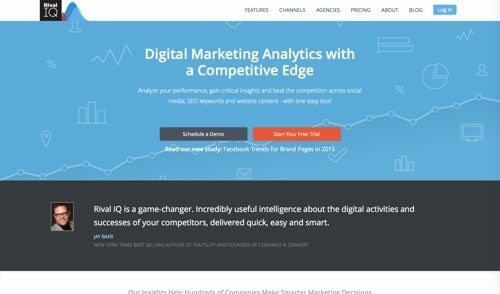 Rival IQ is a tool to analyze your performance across social media, search engine keywords, website content, and more. Benchmark your paid Facebook performance versus organic and tweak your audience targeting to maximize return on investment. Know which is driving the most post engagement, reach, page likes, and more. Identify your audience demographics and what content resonates best with them. View your content performance, video metrics, reach, and post engagement. Filter the data to view metrics that matter most to you. Create informed benchmarks and a data-driven Facebook marketing strategy. Analyze your Facebook successes against other social channels. Price: Plans start at $199 per month. Sotrender gives you analytics for your Facebook, Twitter, YouTube, and Instagram profiles. Get data-driven tips, fast automatic reports, benchmarking, audience insights, and content analysis and inspirations. See all the activities of one or more Facebook profiles that you are working on. Plan your communication and publish posts on Facebook directly via Sotrender. Price: Plans start at 13€ per month. 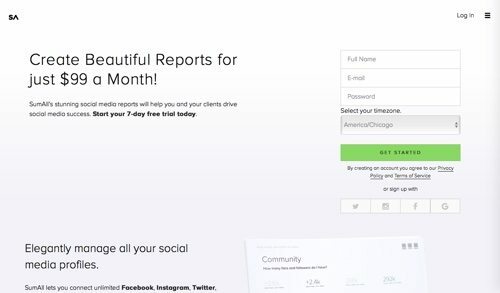 SumAll is a social media management tool that lets you connect your Facebook, Instagram, Twitter, LinkedIn, YouTube, and Google Analytics accounts. 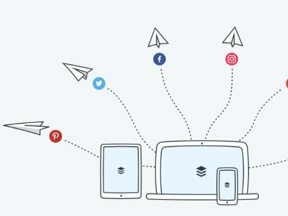 Whether you have three Facebook pages or 300, connect as many accounts and platforms as you need. 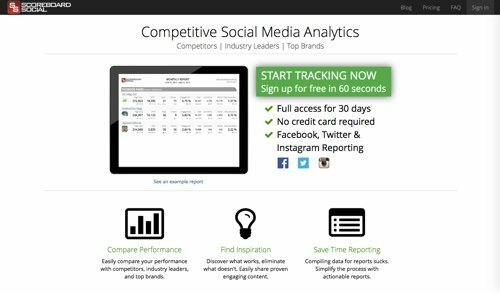 Get unlimited weekly and monthly reports to help you understand and improve your performance on social media. Reports contain a breakdown of top-level metrics in easy-to-read charts and graphs. Also get reports for Twitter, analyzing the timing, structure, hashtags, keywords, and audience of your posts, with tips and guidelines to make your content the best it can be. Price: $99 per month. 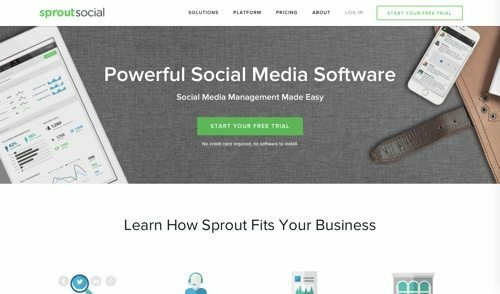 Sprout Social is a platform to monitor and manage your social interactions. Quickly get a feel for Page impressions, fan growth, and how your Facebook content is performing with interactive reports. Dig into post-level Facebook Insights, including likes, comments, shares, reach, and engaged users, to discover what resonates with your fans. View impressions by post type and understand how they are being served. Leverage impression data by location, age, and gender to better target future posts. Price: Plans start at $59 per month.